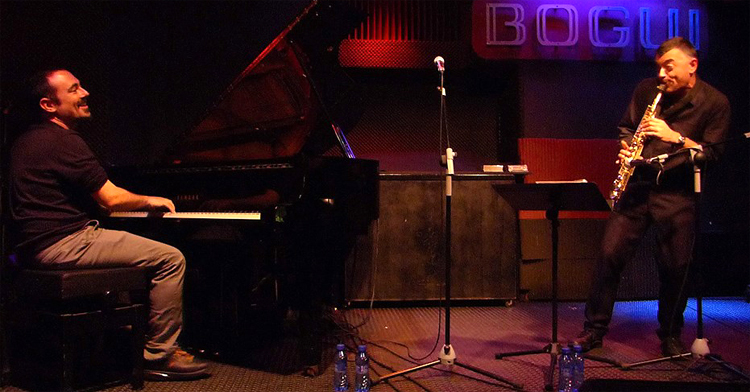 The italian saxophonist Silvio Zalambani and the argentine pianist Federico Lechner (winner of Prize Gardel 2015, highest award Argentine record), began their collaboration in 2011 sharing their interest and passion for the fusion of Latin American music and Jazz. The project has performed in various concert tours in Italy, Spain and Netherlands, in theaters, clubs and festivals, among others: Jazz Club Il Torrione (Ferrara-Italy), Zingarò Jazz Club (Faenza-Italy), MIC (Faenza-Italy), Mama's Club (Ravenna-Italy), Take Five Jazz Club (Selci-Italy), Bogui Jazz, Sala Clamores and Café Berlin (Madrid-Spain), Cafetín Croché (Son Lorenzo del Escorial-Spain), Theatre Center of Art (Miraflores de la Sierra-Spain), 4th and 5th International Festival of Sax and Jazz (Gran Canaria-Spain), Splendor Hall (Amsterdam-Netherlands). 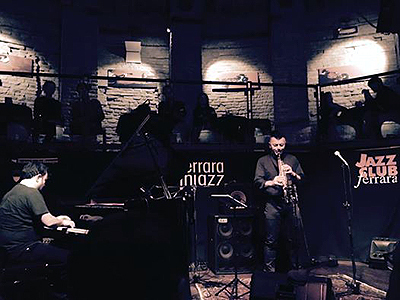 Till now they have recorded 2 CDs, "Déjà vu" in 2015 and "Viaggiatori" in 2019, both published by italian label Borgatti Musical Publishing; in their CDs as well as in concert, the project brings us a musical mosaic with Latin and Mediterranean flavour but with jazz sound, through original works composed by both musicians.